Description: Wings ripped right off the vampire knight, Sanguine. 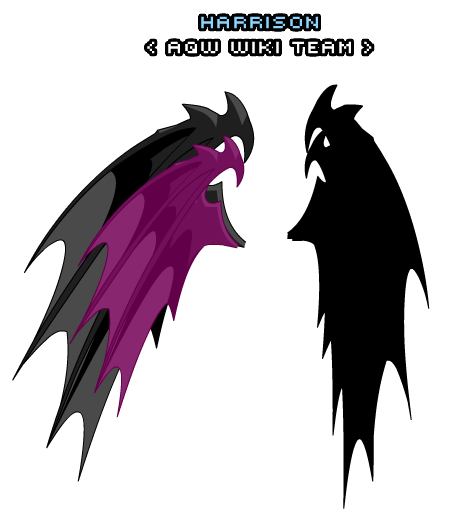 Wear these wings as a trophy to the Lycans or a promise to avenge the fallen vampire! Note: Also see Sanguine's Armor. Thanks to PkerSlayer and Raionae.